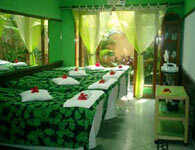 Bali Spa It is located on Double Six street in Legian and the sister spa, Murano Spa is located in Seminyak. 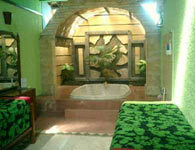 Sicilia Spa has a casual atmosphere that you want to stop by after the beach or night clubbing. The therapists and the treatment rooms make you feel comfortable with reasonable prices of the menus. Enjoy a relaxing Deep Tissue massage with Sandalwood or Frangipani mint oil to relieve pain and tension, and improve blood circulation. ★For 1.5 hours course, massage is for 50 min. After massage with sandalwood or frangipani mint oil, Yogurt Pack which has a great effect on moisturizing removes toxin from inside of the body. The course ends with Flower Bath. Recommend for people with sensitive skins. Body Scrub by using fresh fruits is next after massage with sandalwood or frangipani mint oil. Then, it moves onto Body Mask with your choice of a blend of papaya, avocado and carrot, or cucumber. Your last relaxing time is in Flower Bath. After massage with sandalwood or frangipani mint oil, Body Scrub with Milk and Body Mask will treat you. The course finishes with Flower Bath. Enjoy Massage and Body Mask using natural Honey combined with fresh Lemons. You will end a relaxing moment with Flower Bath. 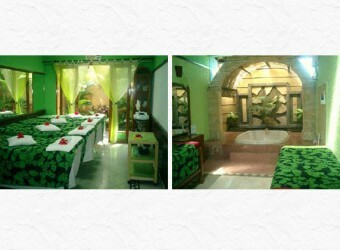 After Massage with Herbal Oil, they give your body a coat or a pasted spice, “Balinese Boreh” and then wrap it with a warm blanket. It is also recommended for people who are sensitive to the cold and has slight cold. The course finishes up with Spice Flower Bath. Children can wait in the lobby or the treatment room. There are menus for children over age 5. The music played at spa coming into my head and made me relaxed. When massage oil gently rubbed all over my body, I felt much relaxed. It has detoxifying effect? I had been troubled with constipation but on that day it got better. I also always troubled with dry skin, after massage I got my skin moisturized. I was very satisfied.